Excellent for projector & TV visual display & audio system. Designed specifically for audio-visual applications and utilizing the already highly praised Mira circuit, Mini Mira’s unique ‘Triple Resonance Filter ’ improves performance and protection for CRT, LCD, LED and plasma screens, and is also fully compatible with projectors. 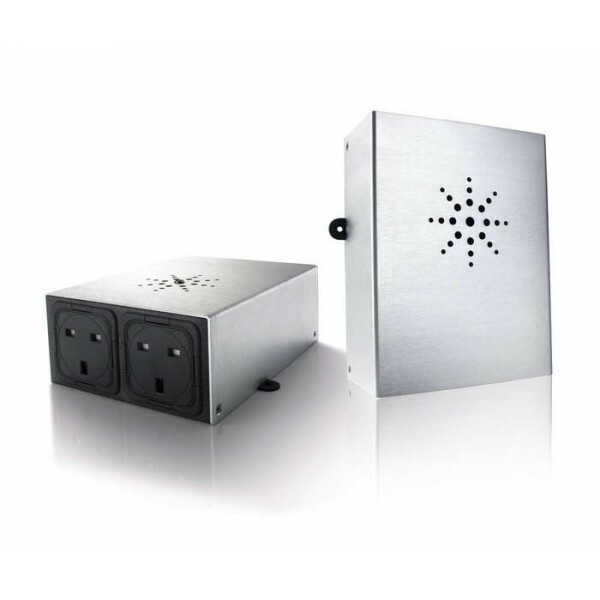 Independently conditioned outlets – stops Differential Mode cross contamination. Available with UK, US sockets.